Replacing the Crown and the Root! The dentists at ProSmiles Dental & Orthodontics have been providing exceptional dental care to North Texas for many years. When it comes to replacing teeth, we only want families to experience the best, whether it’s the methods or the materials we use. As a result, we’ve concluded that dental implants are by far the most effective solution to tooth loss, especially in the long-term. Not only do these restorations look incredibly natural, but they feel like real teeth! It doesn’t matter if you’ve lost one tooth or several, our office is more than capable of replacing your tooth from the crown to the root! Contact our practice to learn more about the process! The two most common solutions to replacing teeth include dental bridges and crowns retained with titanium implants. Fixed bridges rely on your natural teeth to anchor the replacement teeth, meaning that these healthy teeth will require minor modifications in order to hold the restoration. Two crowns make up the entire bridge and the replacement tooth sits in between them. Keep in mind that bridges are not designed to replace the roots of teeth, which is the portion that integrates with your existing jaw. In contrast, dental implants use a single implant post to anchor teeth and they do not require the removal of tooth enamel in order to place. They also replicate the missing root, so you can expect benefits you won’t get from traditional tooth replacement methods. Single tooth implants consist of three components to replace teeth. This includes the post (or implant), the crown, and the abutment, which is a connector that keeps the crown stabilized on the post. Because this restoration replicates each part of your tooth, it carries the most natural-looking aesthetic and functions compared to your real teeth. Overall, the process for receiving dental implants spans over several months. This is largely because each stage of your implant treatment is highly customized to meet your needs. For example, preparatory treatments like bone and tissue grafts or periodontal therapy can increase the overall treatment length. Once we’ve fully planned your treatment, we’ll place the implant into your jaw and give it several months to heal and integrate with your bone tissue. Once fully healed, we’ll design and fabricate your porcelain crown and attach it to your implant. 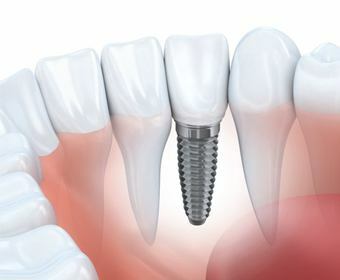 More and more patients are choosing dental implants to replace teeth. Consider a few of the most notable benefits you can expect! 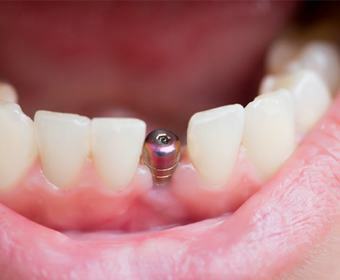 Durability – On average, dental implants last about 25 to 30 years with no issues whatsoever. This is significantly longer than what you’d find with fixed bridges, which typically only last about 10 years before requiring replacement. 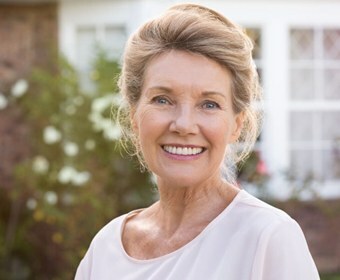 Effective Anchorage – Dental implants rely entirely on the titanium post to stay in place, not neighboring teeth buffed down to make room for a restoration. Truly Lifelike – Implant-supported teeth stimulate bone tissue, making chewing your favorite foods feel natural and seamless. Easy Oral Care – No more soaking dentures or flossing underneath complex bridges. Brushing and flossing feel no different with dental implants.